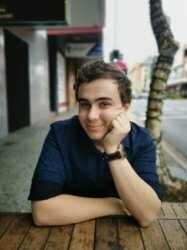 I'm a 4th year UQ Bachelor of engineering (Hons) and science student who has flexible hours and owns a car. I enjoy working, studying and gym, and in my downtime I enjoy movies and reading. I am a freelance tutor for my friends and friends of friends. I used to help my younger siblings with their maths when they needed it. I have tried to tutor some people in university but often I can't teach that well enough to maintain. So I stick with high school math and easier science. My grades in school were straight A's for all math subjects. I really enjoy imparting my knowledge to people who find math difficult. I'm also creative when I comes to teaching, I approach mathematical concepts visually if I can, or in many different types of ways if need be. Practicing is the only way to do well at maths and there's no better feeling than someone who's finally understand a concept after previously finding it cumbersome.